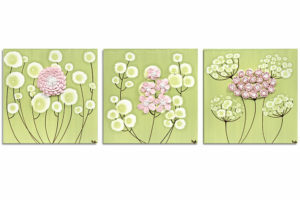 Give this nursery painting as a sweet baby shower gift. 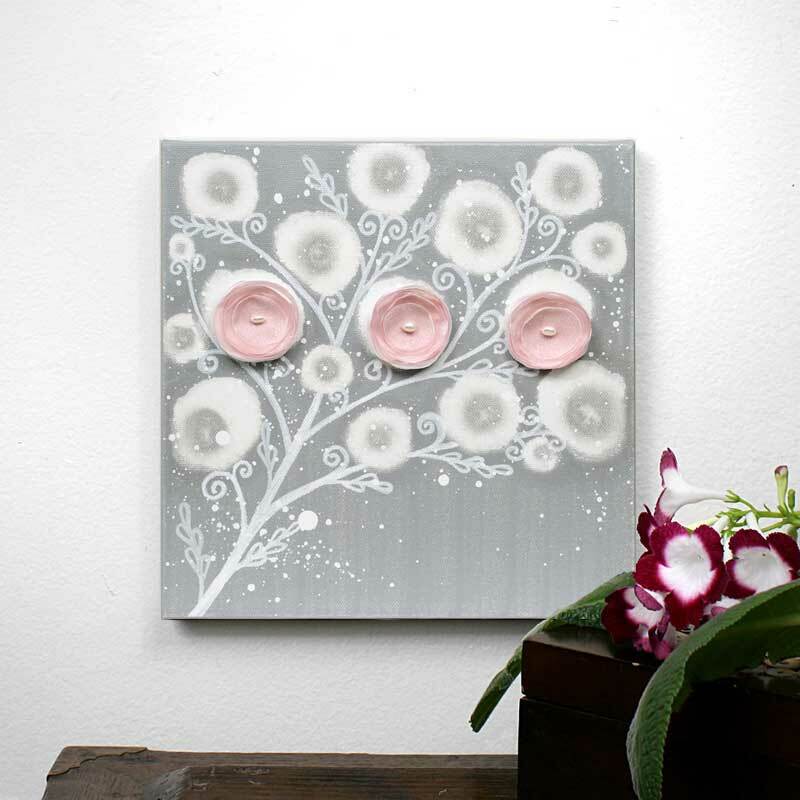 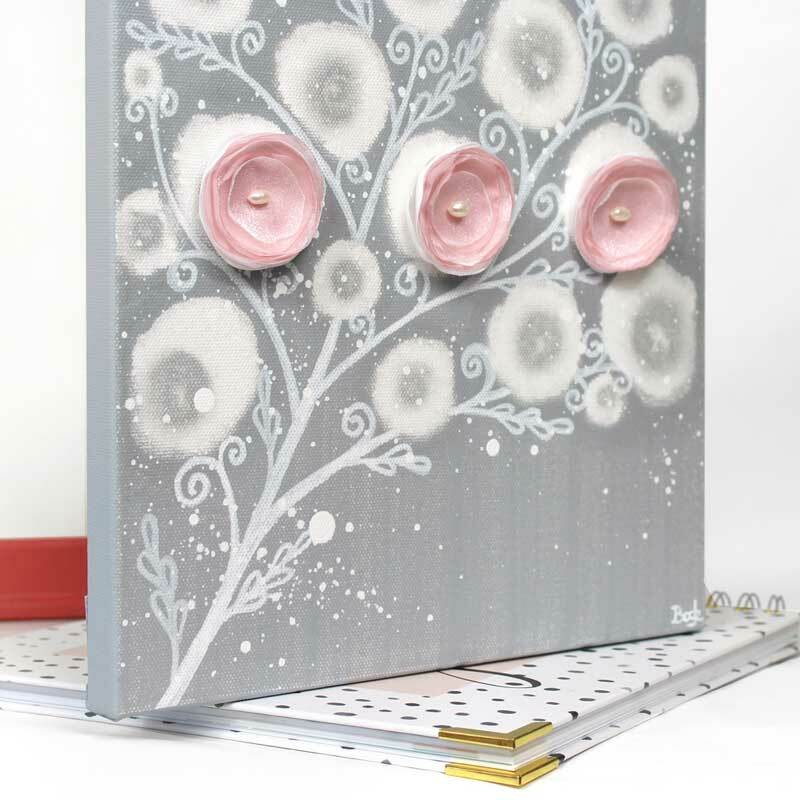 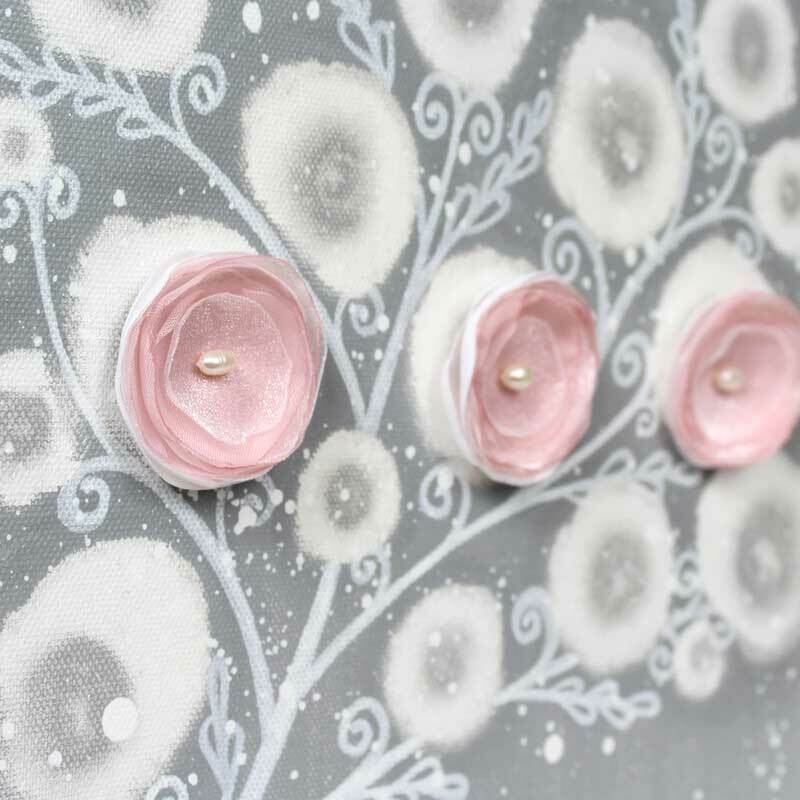 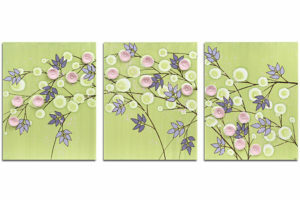 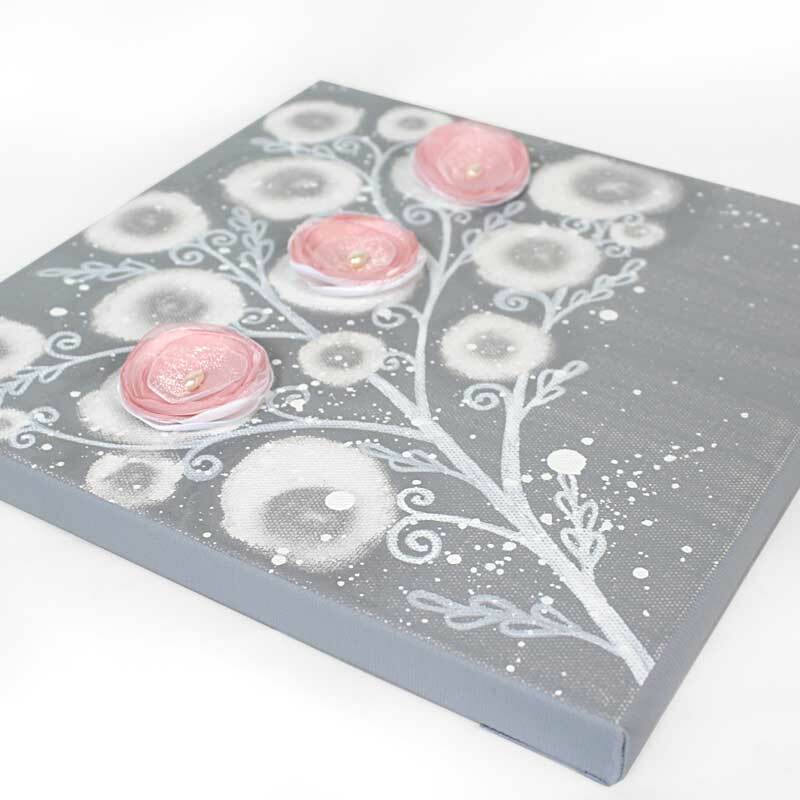 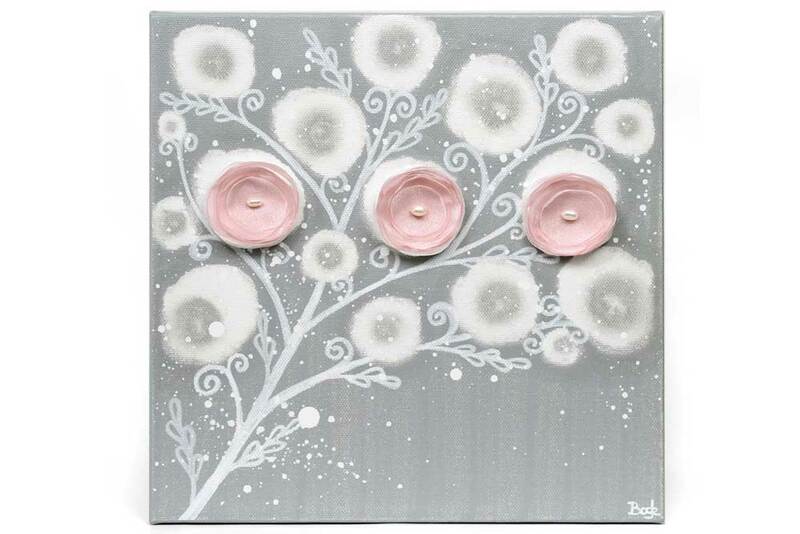 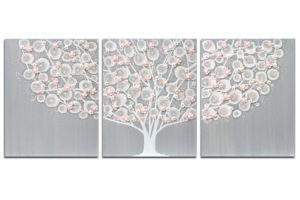 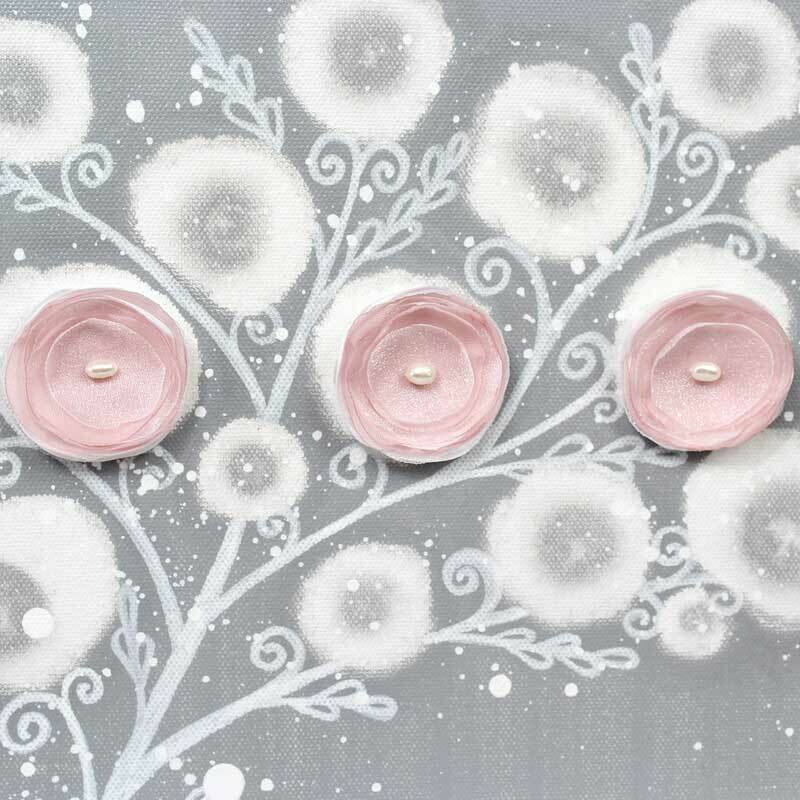 The soft gray painting features beautiful, hand-crafted flowers in shimmery pink fabric. 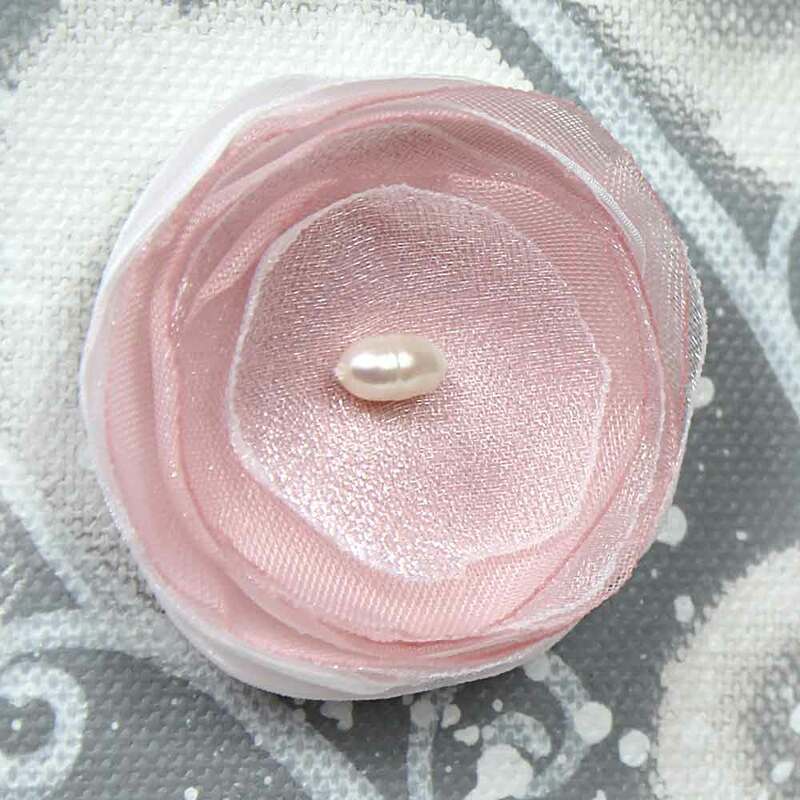 The flower petals are sewn onto the canvas with freshwater pearls. 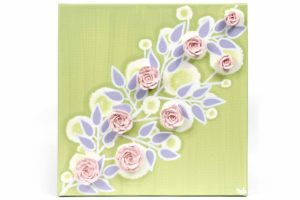 This painting is also available in pink with gray flowers.